We are a process-driven company. Although we are certified AS9100 (an audited standard governing quality for the top performing companies in manufacturing) we like to think of ourselves as AS9100+. 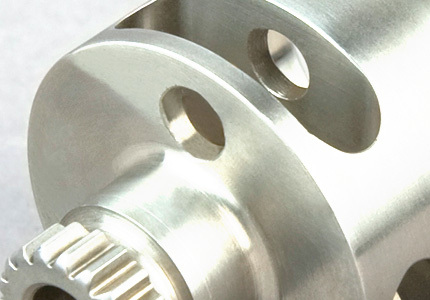 Lee’s Enterprises doesn’t just meet the requirements for AS9100, we exceed them. Our enhanced processes help us to optimize our resources. We document our procedures, constantly improve and build quality into the entire manufacturing process. This exceptional documentation drives consistency and repeatability. Quality isn’t just inspected in after the part is manufactured, it’s built in to every step of manufacturing. Our quality manager, who is also a trained machinist, participates in the planning of job workflow. This involvement leads to consistent procedures and processes, increasing productivity and on-time delivery. We also have two CNC CMMs which are not found in most manufacturing facilities. These specialized CMMs are made to analyze the unique qualities of manufactured gears.